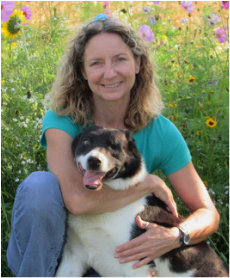 ​Colleen is a Certified Veterinary Technician with 20 years clinical experience working in a small animal practice. She and her husband own and operate a 400 acre "hobby" farm where they raise beef, sheep, meat goats and poultry. Colleen has owned and adored the Maremma breed for 13 years. She first began using the Maremma to protect her small flock of 20 ewes. She later expanded her operation and the duties of her Maremma Sheepdogs to include protecting goats, free range poultry and this year, even bees! She is currently working on a project that will hopefully enable cow calf farmers to utilize the Maremma's unique guarding capabilities especially during the vulnerable calving season. One of my primary goals is to help maintain the overall health and integrity of the Maremma breed. I hope to play a vital role in the education of fellow members and prospective owners, regarding the importance of health screening.